The year is about to turn, and we all know it’s time to make New Year’s resolutions! Why not take some time to prioritize your dental health for the new year? Maybe you’ve been putting off your cleanings, or have a possible cavity you’ve been ignoring. Either way, it’s important to take care of your teeth, and making it a resolution is a great way to get you back on track! Our specialist for Invisalign in Wicker Park gives some advice on how to treat your teeth for the new year. It’s easy to forget to replace your toothbrushes and flossing picks if you’re always in a rush. During the year, we’re all busy with our day-to-day lives and it can get pushed to the back of our minds. The new year is the perfect way to remind yourself that it’s time to invest in a new toothbrush or flossing pick. You could even treat yourself to a quality electric toothbrush! 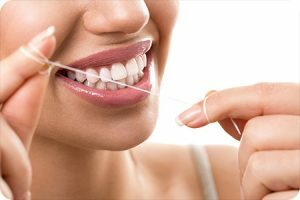 Many people put off getting their dental checkups and cleanings, but it’s incredibly important to go every 6 months to ensure your smile is healthy. The longer you put it off, the more likely it is that you will suffer from dental problems down the line. If you’ve been putting this off, it’s time to schedule an appointment with one of our dentists and start your year off with a clean, bright smile. If you’ve been thinking about treatments for the aesthetics of your teeth, now could be the time to treat yourself. Maybe you need a crown, or you’ve been looking into veneers for a while, or dental implants have been a goal of yours. Get a consultation with our dentists to see if you’re a candidate for your preferred treatment and start the new year with a healthy smile! Contact specialist for Invisalign in Wicker Park today to find out more! The information provided in this article is not meant to be medical advice and is for educational purposes only. If you would like to learn more about this and other topics related to dentistry, feel free to contact Dente Complete Dentistry, with a convenient dental office in Wicker Park by calling 773.295.0562 or by clicking here.